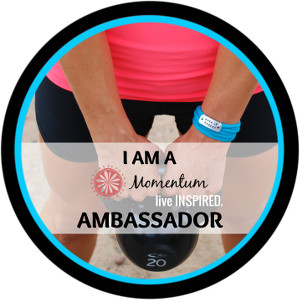 I am so stoked to officially announce that I am a Momentum Jewelry ambassador! 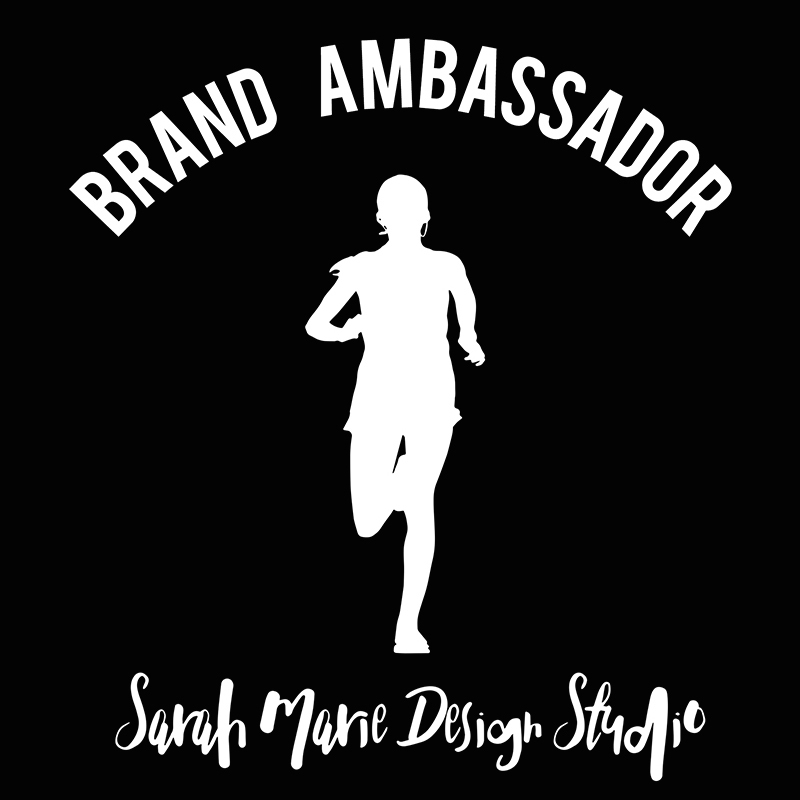 I was actually an "unofficial" ambassador for a while and then the company's first official ambassador, but since then had voluntarily stepped down to allow other amazing folks the opportunity to work with this awesome company. 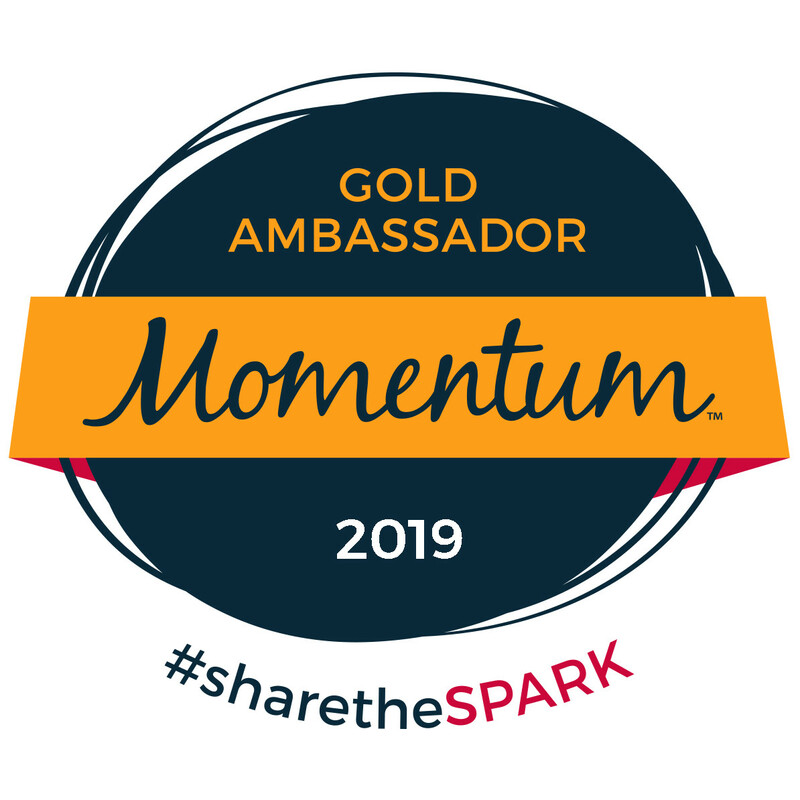 Well, a few weeks ago the ladies from Momentum reached out to see if I'd be interested in helping out for the upcoming year and I couldn't turn them down... So I'M BACK! In case you don't know about Momentum (or need a brief refresher on the brand), let me give you a quick rundown. The idea of the company came to Amy in the middle of her favorite gym class, stuck in a plank that just wouldn't end (and people say nothing good comes from planks - HA!). While searching for anything to look at to take her mind off of the pain, her eyes fell on her naked wrists. That's when she knew... She needed to find a way to put what drives her to challenge herself in a place where she can always see it when she needs it! 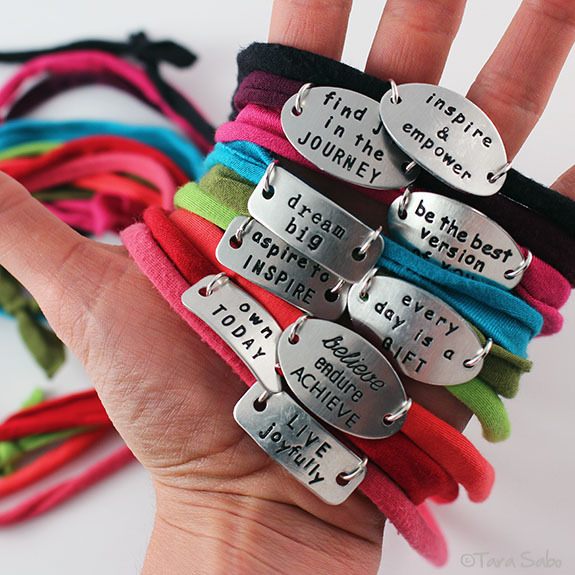 It was then that she combined her more than 20 years of jewelry making experience with her love of being healthy and her need to spread a message of encouragement and positivity. 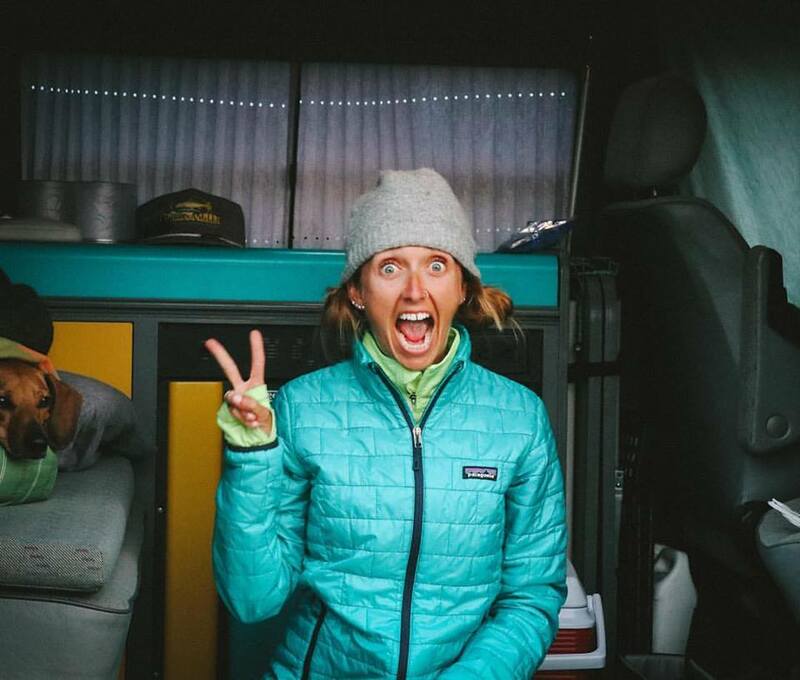 She wanted to create quality products, made with love in the USA, designed to empower as many people as possible in a way that truly speaks to them (and that is EXACTLY what she did!). the shelves at my Target and the sweatshirt is BEYOND perfect! 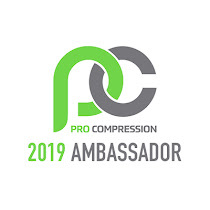 Anywho, not only did I want to let you know the good news, I also wanted to give you a heads up in case you wanted to apply to be an ambassador yourself! 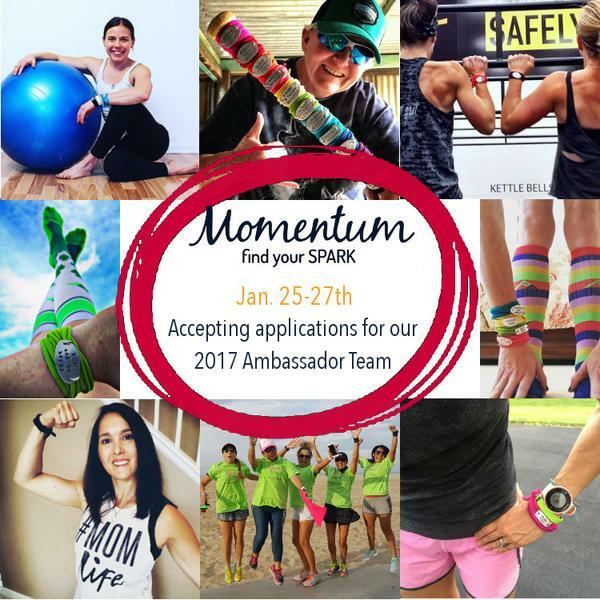 The online ambassador applications will be open and available from January 25th (tomorrow) through January 27th (Friday). This is not a super long window, so I want to make sure you are well aware of the opportunity in case you want to take advantage of it! You can find out more about the program and apply HERE. Do you wear jewelry while you are working out? I'm planning to apply! I got a personalized wrap for the marathon I just completed on the 15th. :) I had it during training, too! Now I'm thinking about getting one to wear while I do my new interest of yoga. That's cool how you were the first ambassador! I LOVE Momentum! You can personalize everything to be just as you want it--change or shorten the fabric, wear multiples together...and I love that I can easily wash-n-wear so my "running bracelet" doesn't look (or smell!) gnarly at the office. They are so lucky to have you! I love them! They have been always very nice with me, and I've applied too... maybe they need an Italian ambassador! Wish me luck! 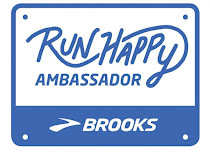 So cool that you were their first ambassador. I received a motivate wrap for my birthday and been in love with it since then. Just put in my application. It would be an honor to be a part of something so positive! What are the wraps made of? Is it like a lycra cord?